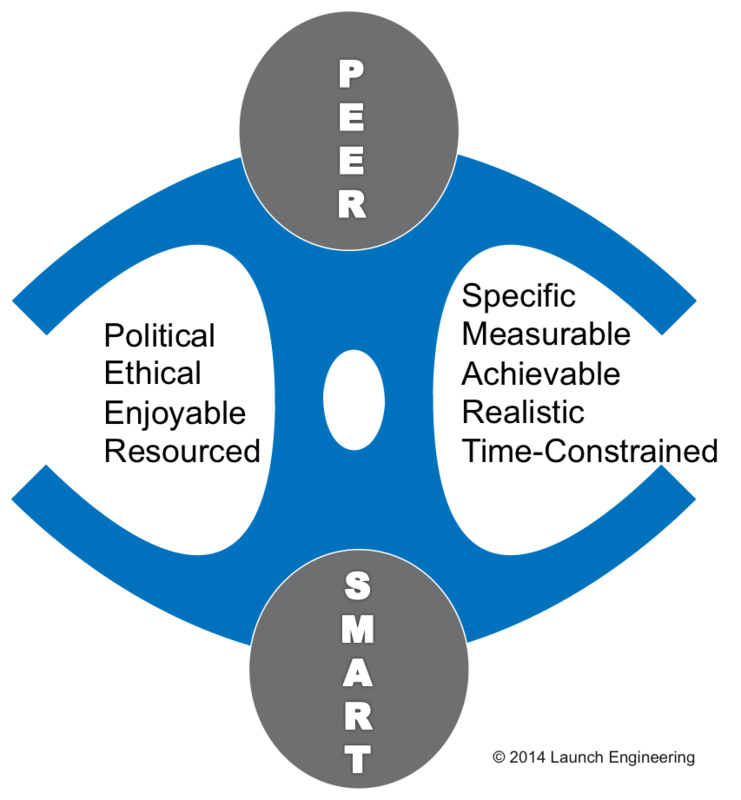 SMART – its an acronym that’s been around for ages… taught academically, thought commercially, and simply just lacking! Yes, it can be helpful, but sometimes SMART just doesn’t “cut it”. Having tested many approaches in many organisations as the Strategic Marketing level… my experience, somewhat enhanced by some Behavioural Theory, suggest SMART ignores the reality of the 5th & 8th “p’s” of Marketing (People and Politics) so I put together a little model and developed the acronym PEERSMART to ensure planning is built in such a bullet-proof way that strategic objectives CAN be fulfilled. Simply, if you make your Actions Politically acceptable, Ethical & responsible, Enjoyable and you dedicate adequate Resources, then SMART (Specific, Measurable, Achievable, Realistic and Time constrained) are likely to be implementable. As always, I welcome criticism, thoughts, additions, qualifications and any other constructive comments that might benefit readers of this blog.